One of the most important aspects of moving boxes is using safe materials to ensure that every item packed either by you or your movers will be kept safe during your move. If you’re packing your home yourself, it’s about purchasing the proper materials, but choosing a moving company that offers a packing service is all about research. This means you’re looking for a company that boasts a great reputation, as well as movers who are trained in-house in the art of packing and wrapping so that you can rest assured they’re practicing on their own breakables and not yours. Finding the perfect moving boxes company starts with determining a list of services you’ll require and your budget, which will assist in the process of narrowing down your potential company pool. At Acclaimed, we’re not only an affordable, professional company, but we have in our employ a tight-knit team of customer representatives, professional moving consultants, and full-time movers to provide the best quality of service available for your move. At Acclaimed, we provide our own sturdy, durable packing materials, meaning the proper furniture pads and all types of boxes to accommodate items of every shape and size. Our double wall dish packing boxes are top of the line and offer the best in safety during your move. All of our materials provided are bleach-free and acid-free to ensure that your belongings will be kept safe and well-protected during your move. Our movers are a team of professional, uniformed, full-time company employees who are trained in-house in the art of packing and wrapping, the disassembly and reassembly of furniture, and the handling and transport of high-end items such as pianos, pool tables, art, antiques, and flat screen TVs. Acclaimed movers know how to properly pack every box to maximize the space available, as well as how to fortify the boxes so they are able to support the greatest external pressure. This ensures that everything packed inside will be kept safe and in top condition during the moving process. Acclaimed has a fleet of eco-friendly trucks, which run on bio-diesel fuel and provide a “green” moving experience, keeping our carbon footprint low. Each truck is fitted with a GPS unit for to-the-minute updates, which maximize efficiency and eliminate that last day arrival time waiting game for every move, no matter the size, type, or distance, be it small or large, commercial or residential, local or long distance. A very important moving option is short term and long term storage. At Acclaimed, we provide both options in personal crates to ensure the utmost privacy and protection in our 100% secure, climate-controlled, on-site storage facility. For the better part of a decade, Acclaimed Movers and Storage has been providing luxury, full-service moving experiences to every one of our customers. We are a company that strives to create a bond of trust with each customer, because we know there are companies out there who try to take advantage of people with the promise of a low price, only to raise it later when the customer has no way out in the form of last minute add-ons and surprise fees. Because of this, Acclaimed offers a free, no-obligation quote that is a “Not to Exceed” comprehensive moving price and can be broken down by any member of our well-trained, knowledgeable staff. This is just one of the ways that we try to earn the trust of our customers, no matter how great or small their move may be, so they can rest assured they’ll be well taken care of when they choose Acclaimed to handle their moving experience. Acclaimed Movers and Storage not only has a great reputation and excels in customer satisfaction, and we also boast an A rating with Moving Authority. 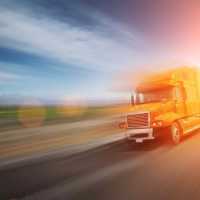 We are registered as a licensed and insured moving company with the Federal Motor Carrier Safety Administration, and we holds all the permits necessary to perform every aspect of any move, be it small or large, local or long distance, commercial or residential. Call Acclaimed Movers and Storage today and find out what we can do for you and your unique move.